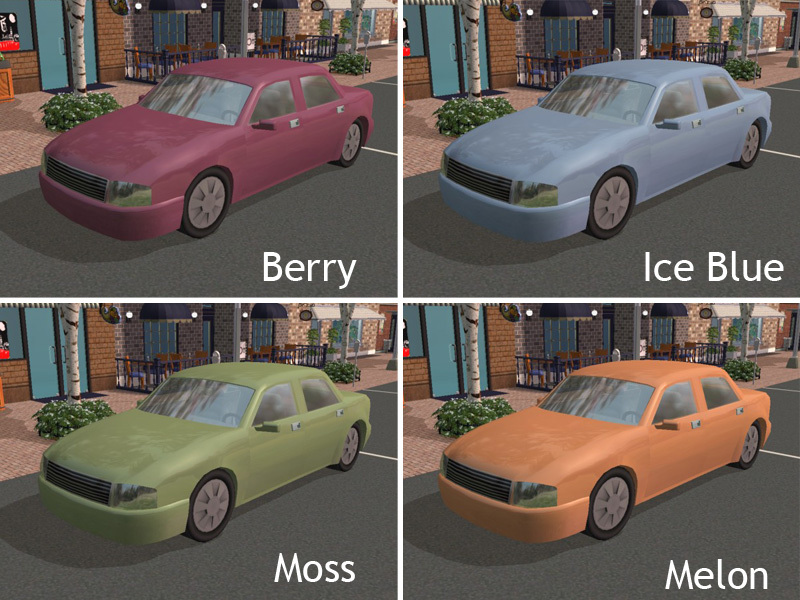 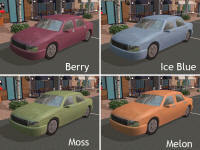 12 recolors of the in-game Yomoshoto Sedan. 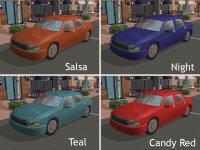 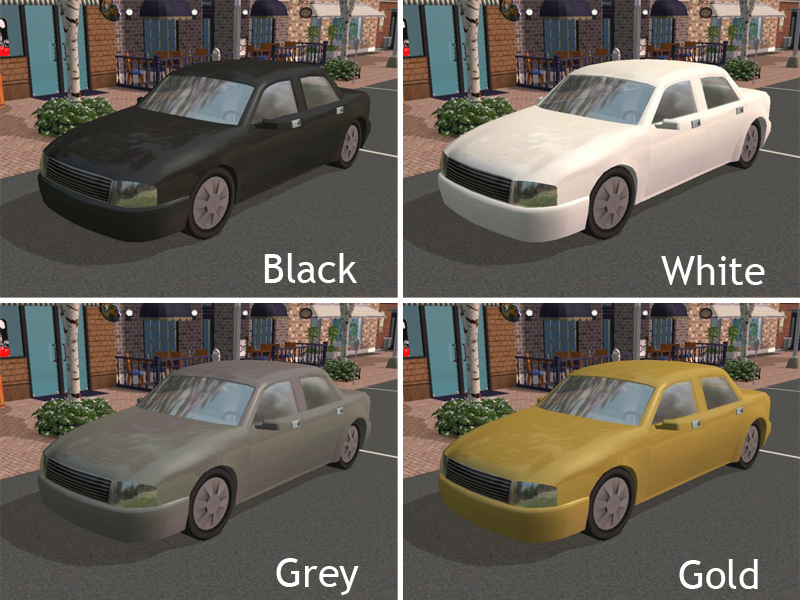 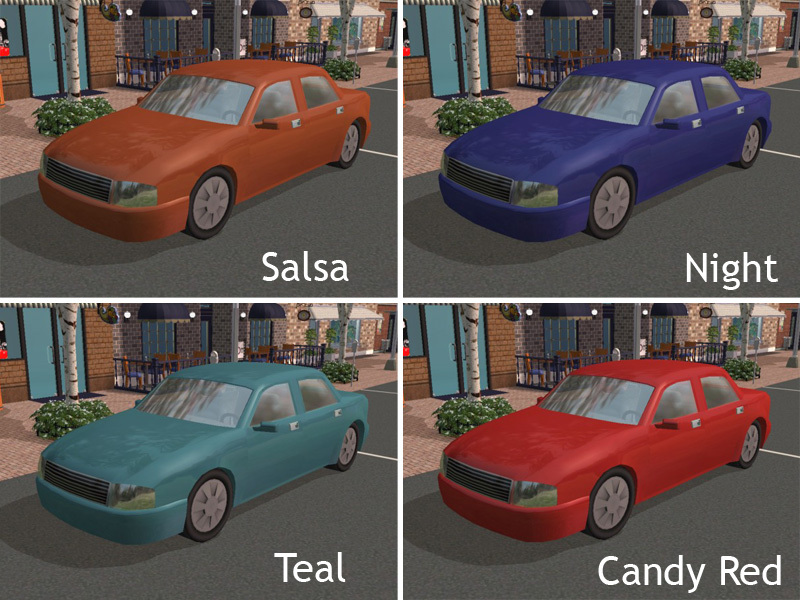 All colors have been acquired from actual cars currently available by auto manufacturers. 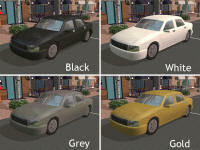 Remove files from archive and add directly to your Sims2 -> Downloads folder.